The wireless traffic management system is the solar-powered wireless system for the excellent traffic control. The density of the traffic is increasing in the developing countries. The traffic singles are used to control the flow of the vehicles. The traffic signal is the perfect choice to control the accidents in the major places. It helps to control the vehicle in all directions. The wireless traffic control system helps to replace the manual based traffic signal. Are you looking to purchase the traffic light controller? Do you need to buy the traffic controller at the lower price? If yes, then you can choose the leading manufacturer to purchase the high-quality controller. The manufacturer offers the different types of the traffic controllers. You can purchase the best one which suits your needs. The wireless control allows you to change the single quickly. The three LED lights are used in the control of traffic light. This light is automatically switched ON as well as OFF with the help of the microcontroller. If the green lights turn ON then remain two lights turn OFF. The process will continue a cycle. You should set the time duration to the traffic signal based on the density of the road. The leading suppliers offer the discount on the traffic controller that helps you save money on buying the controller. Today, most of the countries are switching to the wireless traffic lights for reducing the manual cost. There are huge ranges of the benefits of using the wireless traffic controller such as no cables, weatherproof system, longer life, weatherproof, cost-effective and others. The traffic signal is controlled from the central place without any hassle. The wireless traffic control system provides the great control in the City traffic system that enhances the efficiency of traffic control. One can control as well as monitor the function of the traffic light from the center place. This light is equipped with the weatherproof that do not damage in the sunlight and rain. One of the main benefits of using the wireless traffic signal light controller is saving money with three in a single light. The traffic controller is manufactured with the latest technology. The solar energy is used for the traffic light and it helps to reduce the electricity bill. The traffic light provides the excellent view that reduces the accident at the junctions. Nowadays, traditional fluorescent or halogen lamps and bulbs are facing stiff competition from solar LED lights. And why not, solar lights have proved in being a potential energy saver allowing people save money on monthly electric bill. Solar bulbs use the energy of the sun to lit internal and external parts of homes, offices, factories, traffic areas, streets, car parking area, and many other places. One of the biggest advantages of investing in solar LED lights is that they help to save energy particularly during festive seasons when energy consumption is usually high. Another benefit of solar bulbs and lamps is that they are eco-friendly products not emitting any kind of harmful gases or substances that may pollute the environment. Thus, you may see why there is so much demand of solar light-emitting diode for household decorations and office lighting on a larger scale. There are some areas that are not constrained by stringent government standards. A good example would be a farm that is not industrial. Another good example is a large self contained warehouse district owned by one company. Both areas possibly contain large amounts of traffic. They may also drive machinery that does not allow you to hear other vehicles very well. That’s why wireless solar traffic lights are in huge demand. A solar driveway light looks a lot like regular road reflectors found on many highways across the nation. Those little orange bumps that reflect the lights of oncoming traffic and provide divider marks between lanes have been upgraded for the 21st century. Recently several new companies have released re-worked versions of these clever inventions, building in solar and LED functionality, providing the opportunity for a host of other applications. Of course, the biggest advantages to these products are their solar nature. Previously if one wanted to place a driveway light in a road, either batteries or electric lines would be required, proving costly in maintenance and installation. But thanks to the explosion of cheap solar technologies in recent years, all that’s required to install is a special fixative to embed the light in the road. No maintenance is required for years to come, providing an efficient method of adding safety lights to countless environments. Installing electricity in a rural area can be a huge expense in and of itself. With a solar powered traffic light, this problem is solved. Although they can be hooked up to a main Power Supply, in general modern models are standalone units. That means you simply need to mount the traffic light and everything else is taking care of. If you have ever worked with local government to have a traffic light installed, you know the frustration that comes with it. Your application may be approved immediately. That sounds great, but a much needed traffic light can still waiting months or years to be approved in the budget. Since the budget process can be anywhere from 18 months to a few weeks it is not always practical to wait for everyone. If you know you’re going to need to wait a considerable amount of time, you can ask for approval of a regulation style solar traffic light that you purchase yourself. Having city officials approve personal installation of a solar traffic light is especially helpful advice to small business owners who need traffic solutions today. It is not uncommon to have a traffic jam in your parking lot for some small businesses. Because the parking area is owned by you, the business owner, the responsibility of having a light can fall on your shoulders. However, you must always have your solar traffic lights approved by the city governments and installed by professionals that they recommend. There are some areas that are not constrained by stringent government standards. A good example would be a farm that is not industrial. Another good example is a large self contained warehouse district owned by one company. Both areas possibly contain large amounts of traffic. They may also drive machinery that does not allow you to hear other vehicles very well. Larger farms are known for their heavy and loud machinery. Unlike many cars, a combine or tractor may not have turn signals or a horn that you can hear if you are driving another tractor. For areas that are problematic and have a lot of farm traffic, a simple traffic light can be extremely effective. However, in the past, they were not affordable because you needed to have electricity drawn out to that area. Installing electricity in a rural area can be a huge expense in and of itself. With wireless solar traffic light, this problem is solved. Although they can be hooked up to a main Power Supply, in general modern models are standalone units. That means you simply need to mount the traffic light and everything else is taking care of. So, go for it now! With a large section of the world population going the unconventional way, there is no surprise if the traffic engineers are suggesting the same for the roads too. The motivation behind going the solar way is its goodness to the environment. Unlike the conventional power, the solar power is eco-friendly and there is no harm neither to the environment nor to the humans. Instead of the conventional incandescent traffic lights, many traffic light manufacturers are now producing solar powered traffic signal lights. They are gaining much popularity nowadays. 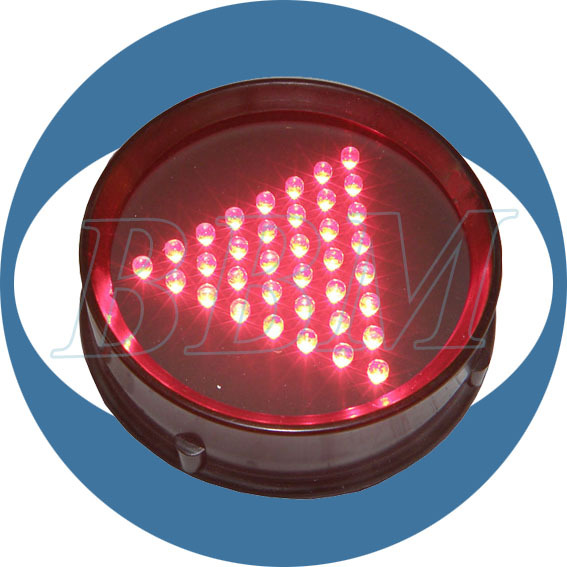 No doubt, there are immense advantages associated with LED powered traffic signal lights. But at the same time the disadvantages cannot be ignored too. • Currently LEDs are quite expensive. The price per lumen is not that cost friendly and as a result can effect the economy owing to the expenditure involved while installing them at all traffic intersections in the country. • The performance of the LED powered traffic lights is largely depended on the engineering of the same. The slightest mistake in the engineering of the fixtures may lead to the failure of the device. Andwhen we are talking of serious concerns like traffic management, there is no room for mistakes. • LEDs must be supplied with the correct voltage andcurrent at a constant flow. This may require the employment of electronic experts which is again an added expendituretowards the same. • LED lights have the tendency to change colors according to temperature. This is not at all acceptable in case of traffic signal management. 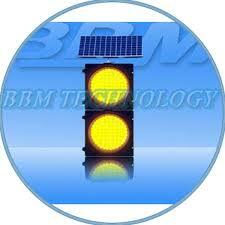 The solar traffic lights have the capability to run the traffic signal system totally on an eco friendly basis. These lights consume 90%less energy and can work without any electricity connections.These traffic lights can be custom designed at many a leading traffic light suppliers and are affordable. They are also a viable medium of setting up a traffic signal system in places short of electricity. The wireless solar traffic lights are integrated with LED technologies and sustainable and eco friendly solar energy technology. The innovative integration gives rise to astable wireless traffic management system. These traffic lights can be installed in places short of electricity but with lots of solar energy like the Middle East and Africa. These lights not only save enormous construction costs buy also massive operation expenditure. With conventional energy giving away, the wireless solar powered lights have found wide use. LED safety lights also known as LED pedestrian light add a supplementary element to safety measurements. Instead of relying that a considerably remote stop-sign that’s sheltered with overgrown tree branches is still noticeable, knowing that LED safety lights are component of that sign make it a distinct. This sign is secure. Folks can notice it. The vivid lights make sure that the sign is absolutely noticeable. Signals on the road equipped with LED safety light make it simpler for drivers driving at night to understand where they require to exit. Furthermore, LED safety lights will stay on if any power-cut happens, offering people a signal of light to pursue in case of an emergency. To lessen mishap, LED safety lights puts in a “wow” aspect to a safety signal that makes sure that people notice it – and pay attention to its message. The dazzling light positioned at intersections that permit pedestrians to aware oncoming drivers have saved lives, no doubt. These flashing lights that can be switched on at whim by a walker coming towards the intersection make drivers immediately feel that they require to slow down & stop. An easy crosswalk is too easy to be overlooked. When it ‘s about peoples’ lives, there’s no cause not to make the crosswalk, and other safety signals, more noticeable. LED pedestrian lights achieve this quite wonderfully. 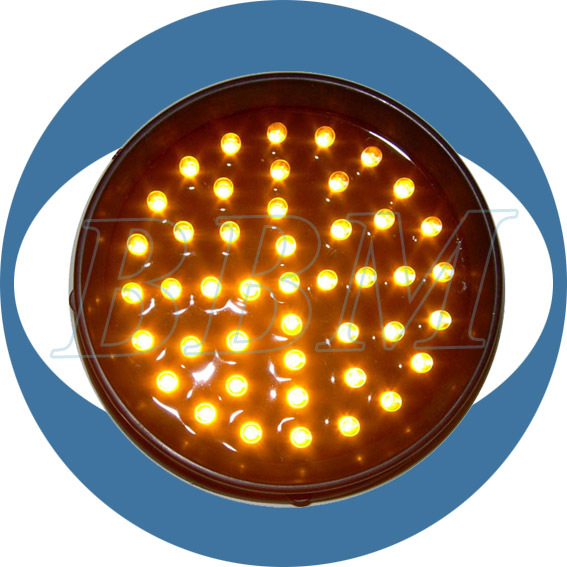 Stop signals in specific can gain from LED pedestrian lights as a big part of the sign. Quite regularly, people ignore stop signals and neglect to take a note of the warning signs. Stop signals aren’t suggestions; it’s certainly against the rule to overlook them. However, a lot of people have a tendency to roll through stop signals, either intentionally or just because we’re unaware to the stop signal really being there in the 1st place. LED pedestrian lights make stop signals more visible on the highways. No longer they can be overlooked or run through without a 2nd thought. Flashing lights require attention and provide the stop signals the respect it deserves, hence giving individual who stop at the sign the capability to react quickly. With the improvement in technology, LEDs are now also used in traffic countdown timer to be more energy efficient and economical. 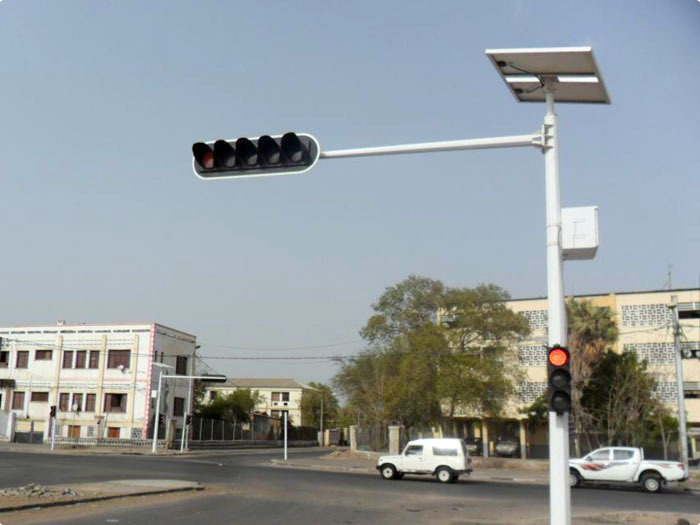 Wireless solar traffic lights are also in demand that employ LED technology. Today, you can find almost every country is using LED technology for traffic controlling or road safety purposes. These days you must have come across a range of LED lights in traffic signals rather than the traditional incandescent bulbs. These lights are a productive replacement to traditional incandescent bulbs inside traffic lights. Not just they’ve a longer durability but they’re much more power efficient compared to conventional incandescent bulbs. Also, the longer lifespan means lower maintenance expenditure. As far as power consumption is concerned, LED lights are highly effective. Lower power consumption reduces the power cost and also decreases the ecological impact of greenhouse gas discharges from power plants. For your knowledge, the energy use of LEDs can be anywhere between ten watts to twenty-two watts, whereas an incandescent bulb uses 135 watts. A common city with several traffic signals can see big savings a year by replacing the traditional incandescent bulbs with the newest LED units. With such big savings, there can be a chance of employing solar panels rather than electrical energy to produce electricity for the LED units for greater cutback of greenhouse gas discharges. Conventional incandescent bulbs last only for a few months and the frequent replacement carries a huge financial burden. Traffic has to be discontinued when the bulbs are being substituted. It also cost a huge amount of money to employ people for repairing work. Furthermore, the replacements periods are short when compared to LED bulbs. Incandescent halogen bulbs have just 1 tungsten filament & once that filament burns, the bulb work no longer and needs instant replacement. At the same time, LED traffic signal lights are made of a range of LED lights & if few of them stop functioning, the traffic signals will still carryon to work. The benefits in power consumption & operational maintenance expenditures of LED traffic signals overshadow the conventional incandescent halogen traffic signals. These days more and more cities prefer to go with LED as far as their traffic lights are concerned. 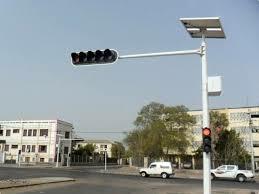 Manufacturers these days also have produced wireless solar traffic lights that are programmed with LEDs. There are so many online retailers of LED traffic lights who can offer you great deals on your purchase, whether it is LED street light or LED warning light. However, you should always deal with a licensed vendor to make sure about the quality of their LED products. Overall, investing in LED technology is a profitable option from every perspective, whether it is saving big money on power consumption or eradicating the environmental concerns. Now, almost all big cities worldwide are using LED technology in some way or other whether it is LED traffic countdown timer or LED solar panel. The use of Led technology is truly extensive. What are the New and Effective Ways to Improve Traffic Lights? Traffic is the main problem in nearly every countries. In this busy life people generally use their private commutes to travel from one place to another, this increases road traffic. It is necessary for the localities to have a well-managed traffic control system. With the advancement in technology some new products are used on the traffic system to increase its efficiency. These systems generally enhance the convenience of people and also ensure their safety. With the rise in the cost of fossil fuels as well as their bad effect to the environment, people tend to seek best energy saving solutions. Light emitting diodes are the best way to decrease the energy charges by replacing them with old incandescent light bulb in traffic signals. Nearly 260,000 intersections are there with traffic signals in the US. As per an estimation if every intersections had Light Emitting Diodes in the traffic signals, electricity could be saved annually by more than 3 billion kilowatt hrs. On average a kilowatt hour generally costs about 4 cents, so there might be direct savings of nearly 120 million dollars per year in the consumption of energy. The prospective savings has prompted several cities to take up the contracts of energy savings for upgrading traffic signals. It is a fact that when synchronizing the people’s movement and automobiles as well as managing pedestrian traffic no error would be there. Generally robust Pedestrian Control Signals of LED provide sustained reliability. There are clear advantages of using LED over incandescent: longer life, fewer hassles of maintenance, lower maintenance costs and energy savings up to 90%. Countdown timers are used to warn drivers on how much more they need to wait at red lights before the next change in the light. This technique is proven better to help to improve road safety and traffic flow. Motorists generally slow down as they come near to junctions and traffic lights to evade speeding as and when required. 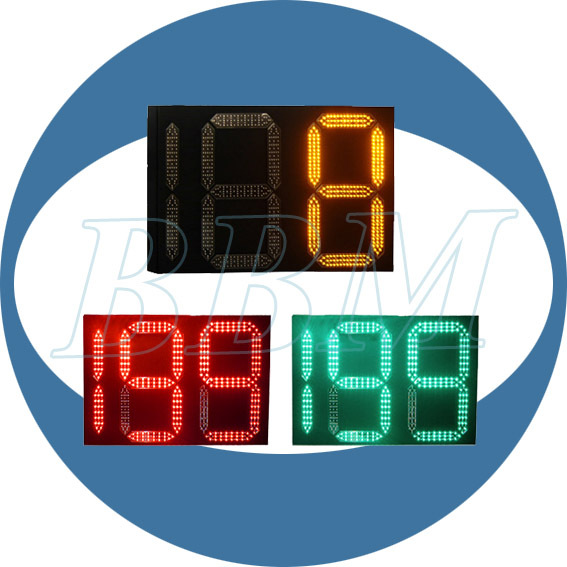 At led lights countdown timers would notify drivers the remaining time before the light switches to green. However, at green lights timers would indicate the exact time after which the light turns into red to drivers. This type of traffic light Control System is completely wireless and generally built with modern technologies to remove difficulties existed in systems to control traffic light used conventionally. This type of control system are eco-friendly and solar-powered. We all have seen those blinking red, green and yellow lights at almost every ending and intersection to put the howling traffic at check. Since decades, these have been symbolic of the traffic signal maintaining a controlled crossing and a congestion proof road network. The traffic light forms a major part of a state’s safety and a major consumer of power and energy of the same. All kudos to the newer and innovative approaches of the modern technology, several disadvantages associated with the conventional traffic signal modules have been removed. The LED traffic lights have been incorporated with innovative optical technology to provide an energy efficient and environment friendly approach to the existing traffic signal control system. The LED powered traffic lights would ensure nothing but superiority and reliability in their use. With a wider viewing angle and enhanced uniformity as compared to the conventional incandescent traffic lights, the LED traffic lights are engineered to meet the application demands of the present traffic signal module. These lights possess excellent moisture and dust resistance capability along with a high grade thermal management quality. Managing pedestrian traffic is quite tough and challenging and hence requires a high ended control module that can only be afforded with a LED pedestrian light. 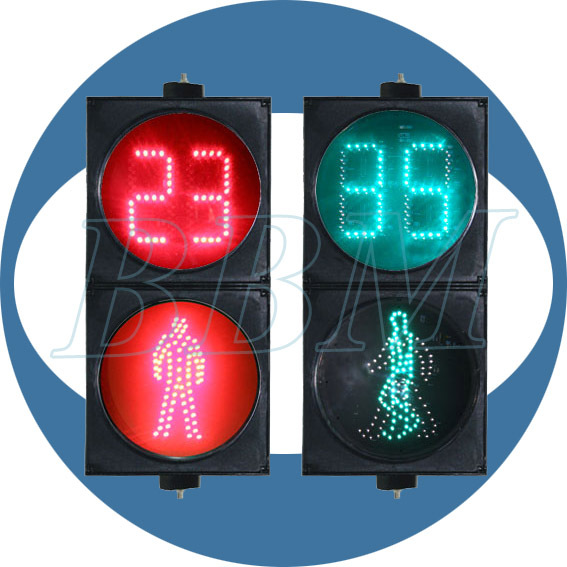 The LED powered pedestrian signal modules give you proven reliability and well established advantages in comparison to the incandescent while synchronizing the movement of motors and people. The LED pedestrian lights are a go- green approach with their energy efficient engineering, longer life and eliminates maintenance hassles at the same time. When it is time to control the outrageous traffic, the traffic countdown timer always helps. 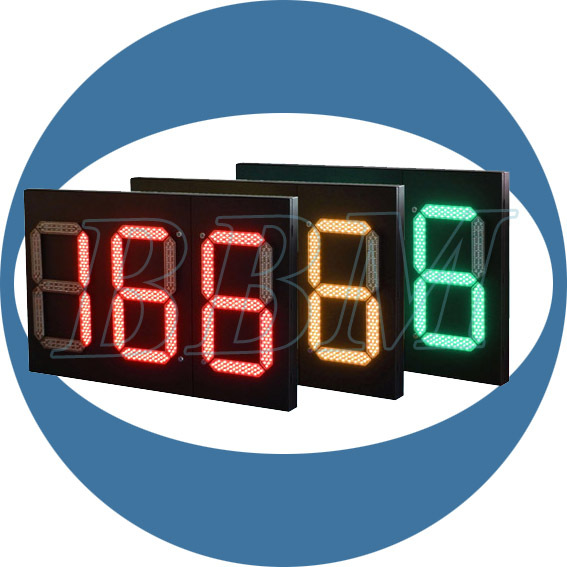 You ask a traffic expert about the benefits of a LED operated countdown timer and he is sure to arrive with a long list. 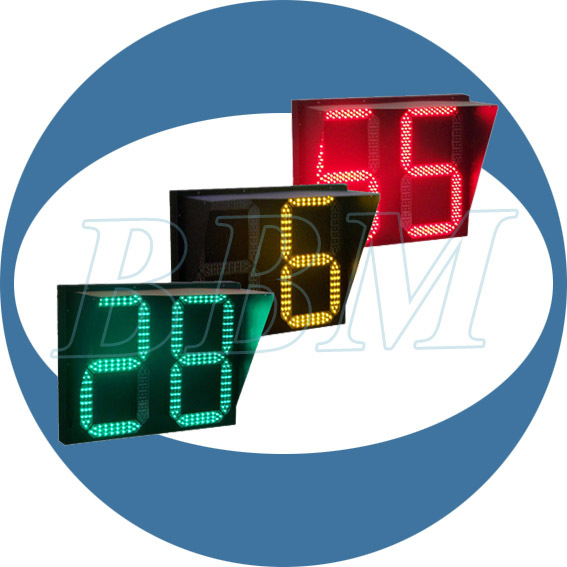 An innovatively designed traffic countdown timer with LED incorporations is sure to end road rage, claim many a designers and traffic experts. With their excellent functionality and longer life, these timers do have the energy efficient quality of the LED imbibed in them. 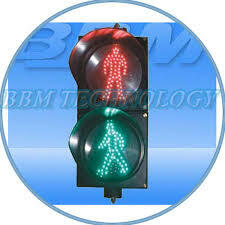 The wireless solar traffic lights have totally transformed the look of the traffic signal modules. The wireless approach and the self- power model has successfully contributed to put the raging traffic on check. The use of 2.4GHz wireless technology has eliminated cabling and retrenchment on the roads. The most wonderful thing with the wireless solar traffic light, no electricity bills. They use energy efficient and low power consumption LED lights to control the traffic at every intersection. The use of solar panels make them pay for themselves and environment friendly. A host of new and improved features comes with easy installation and low maintenance.